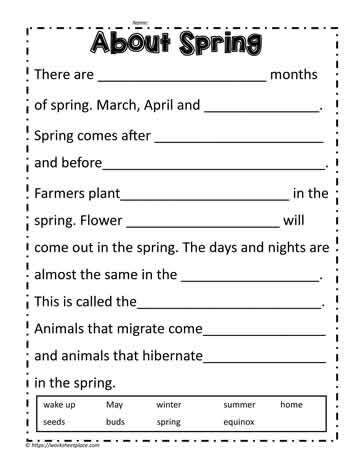 A fill in the blank activity for spring. Teaching ideas for spring. A great teaching unit on spring for 1st and 2nd grades.